Sail the clear waters of Scandinavia and the Baltic on this 15-day cruise. Enjoy overnights in cosmopolitan Stockholm and St. Petersburg, and explore charming historic city centers in Tallinn and Gdańsk. You’ll visit Helsinki, Berlin, Copenhagen and Bergen, and witness breathtaking scenery from your ship as she glides through majestic Norwegian fjords in the legendary homeland of the Vikings. Day 1 — Stockholm, Sweden - Begin your cruise in Stockholm’s stunning archipelago, nestled where Lake Mälaren meets the Baltic. Take in this amazing city spread over 14 islands and its 13th-century Old Town, or Gamla Stan, with German-influenced architecture. Consider a trip to the Vasa Museum to see an amazingly preserved 17th-century ship, or indulge in a smörgåsbord complete with traditional smoked salmon. Or opt to visit Skokloster Castle in the Swedish countryside. Day 2 — Stockholm, Sweden - Spend the morning exploring Stockholm’s architectural and natural wonders. Perhaps you will embark on an intimate boat tour and take in the breathtaking cityscape from the waters. Attend a private performance at the famed opera house. Or head on your own to the heart of the city to stroll the inviting footpaths of Djurgården Island, once a royal game park and today a picturesque recreational area blanketed in green. We depart in the early afternoon for a scenic cruise through the Stockholm archipelago. Day 3 — Helsinki, Finland - Spend the day in Helsinki, known as the “White City of the North.” Take an included city tour and view the Uspenski Cathedral; its 13 magnificent green and gold domes represent Christ and the apostles. Nearby is Porvoo, a charming medieval town with cobblestone streets that weave between historic wooden buildings. Or travel to the home of composer Jean Sibelius at Ainola and take in a concert at the summer school. Alternatively, visit the 18th-century Suomenlinna Fortress, one of the world’s largest historic maritime fortresses. Another highlight is the spectacular Temppeliaukio Church, also known as the “Rock Church”—a subterranean sanctuary with rough-hewn walls of granite. Day 4 — St. Petersburg, Russia - From morning through the next day, explore majestic St. Petersburg. Enjoy an included tour that shows you St. Isaac’s Cathedral, the Peter and Paul Fortress, Nevsky Prospekt and more. 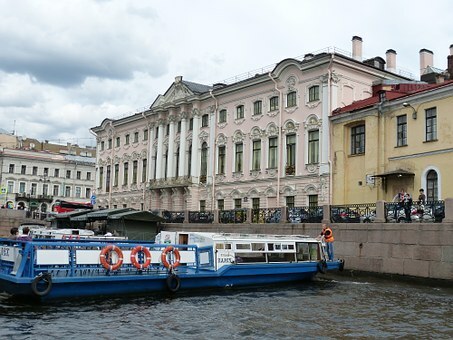 Our overnight stay allows time to choose an optional tour of the Hermitage Museum, an evening at a private concert and more, as we will be spending the night in port. Day 5 — St. Petersburg, Russia - Awake in St. Petersburg for a second day of exploration. Today you can choose to return to the city for a more detailed look at the wonders on display or journey into the countryside to visit the magnificent summer palaces of the tsars of Russia. If you didn’t take yesterday’s included guided tour, you can do so today. Or opt for one of the many optional tours. Day 6 — Tallinn, Estonia - Awake with a full day in Tallinn, where you can nibble your way through intricate edible creations, for this is the birthplace of marzipan. One of the best preserved medieval Old Towns in Northern Europe, Tallinn is a UNESCO World Heritage Site, with picturesque cobblestone streets, red rooftops and beautiful views of the sea. Stroll the Lower Town’s narrow 13th-century streets, passing the Great Guild House, House of the Brotherhood of the Blackheads and late medieval Town Hall. You can even explore Katarina (St. Catherine’s) Passage, lined with handcrafting workshops. 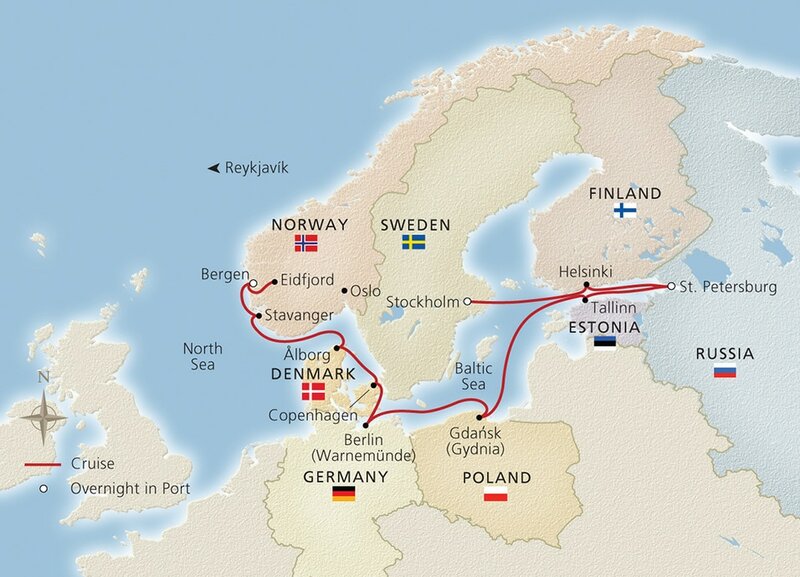 Day 7 — Cruise the Baltic Sea - Relax today aboard your ship. 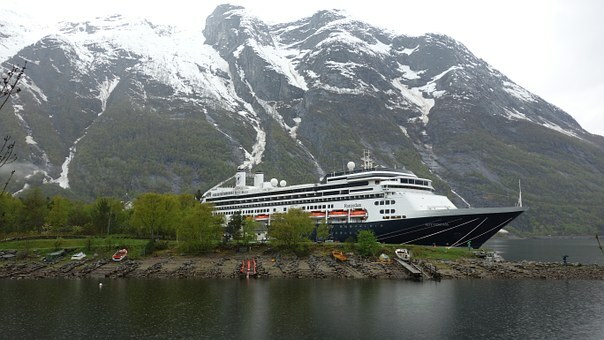 Learn more about your upcoming destinations during an intriguing port talk, and explore your ship, perhaps unwinding in The Spa, where you can enjoy the Snow Grotto and Sauna, or by taking a dip in the Infinity Pool. Tonight, try a regional specialty in The Restaurant, or take in a recent movie in one of our three theaters—two indoor and one under the stars at the Main Pool. Day 8 — Gdańsk, Poland - Gilded Goldwasser. Glowing amber. Gothic cathedrals. 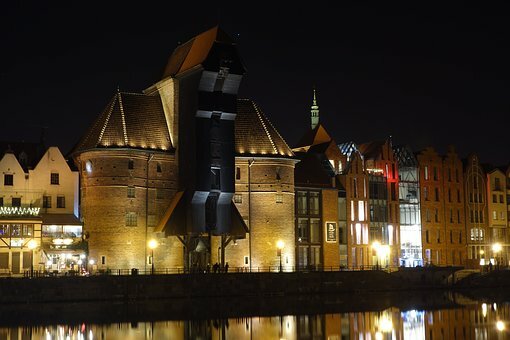 Your stop in Gdańsk is a visit to one of the richest cities in the Hanseatic League of old. Spend the morning strolling the remarkably restored Old Town with its mix of Gothic, Renaissance and baroque styles. Perhaps you’ll indulge in the traditional pierogi dumplings, or a glass of gold-flecked Goldwasser—a liqueur created here in the 16th century. Or, opt to explore the medieval Teutonic stronghold of Malbork Castle, the world’s largest brick castle and a UNESCO World Heritage Site. Day 9 — Berlin, Germany - From port, take the included transfer through the scenic countryside of the Mecklenburg region to Germany’s historic capital, Berlin—just a few hours away—where you will have the day to explore. 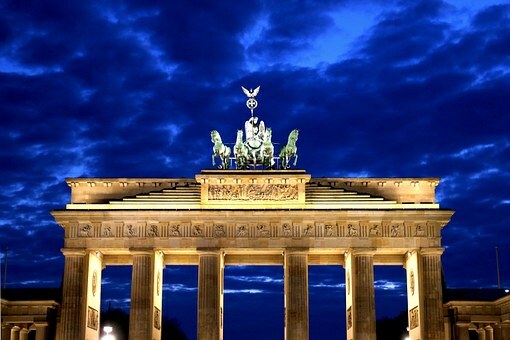 Here you can discover at your own pace the major sights of the Berlin Wall, Alexanderplatz square and Checkpoint Charlie. Alternatively, on an optional tour take lunch in the Käfer restaurant, which perches atop the magnificent Reichstag. 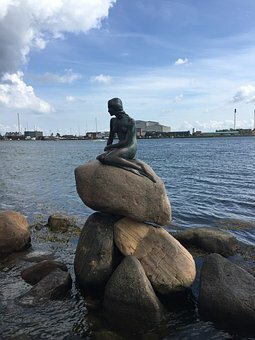 Day 10 — Copenhagen, Denmark - Originally a Viking fishing village founded in the 10th century, the Danish capital boasts over 850 years of history. With an entire day to explore, pass the brightly colored houses of Nyhavn, or New Harbor, once the home of Hans Christian Andersen. Discover the sumptuously rococo interiors of Amalienborg Palace, the winter residence of the Danish royal family. You may also want to consider a trip to the ornate Kronborg Castle, a UNESCO World Heritage Site and the inspirational setting of Shakespeare’s Hamlet. This fairy-tale city provides plenty to explore, including delights for your palate at one of the many Michelin-starred restaurants, where you can indulge in a decadent lunch or an early dinner. Day 11 — Ålborg, Denmark - Founded by the Vikings in the late 900s, this historic city straddles both sides of the Limfjord Sound. Spend the morning strolling along to Nytorv (New Square) to see the Renaissance-style Jens Bang’s House, the baroque-style Town Hall, and the charming 14th-century Budolfi Church. Take in the lively Jomfru Ane Gade, a street lined with trendy cafés and restaurants. Or, opt for a tour led by a local chef to taste traditional aquavit, an herb-infused spirit distilled here since the 15th century. Day 12 — Stavanger, Norway - From the heart of the Old Town, where your ship berths, you will have the morning and early afternoon to explore. 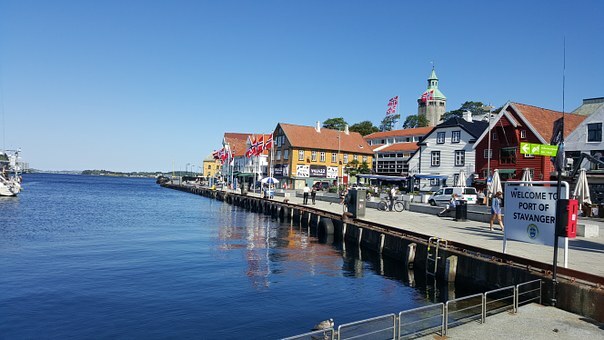 Start in the old quarter, Gamle Stavanger, which has Europe’s highest concentration of wooden buildings from the 17th and 18th centuries. Or consider a cruise along the Lysefjord to see the famous Preikestolen, or Pulpit Rock, jutting out nearly 2,000 feet above—it is one of Norway’s most famous natural attractions. Offshore oil drilling is an important industry for the local economy, and the award-winning Norwegian Petroleum Museum tells the story of the dangers faced in extracting this precious fuel. While ashore, don’t forget to indulge in waffles with cream and sweet jams. 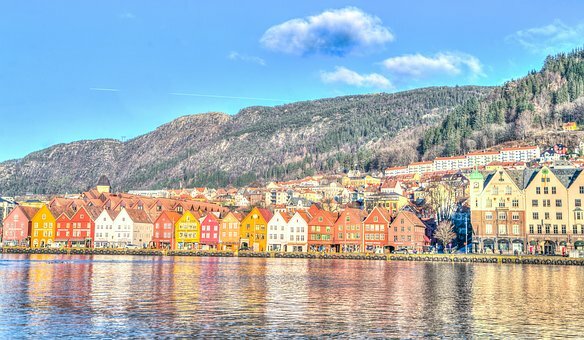 Day 14 — Bergen, Norway - Encircled by majestic mountains, fjords and glaciers, Bergen was home to Viking sagas. With your ship berthed next to Bryggen wharf, a UNESCO Site, easily stroll along its waterfront. See the beautiful 18th-century wooden houses, and visit the Hanseatic Museum on your included tour. Or take an excursion to Troldhaugen, the home of Norway’s famous composer Edvard Grieg, or a trip to the top of Mt. Ulriken to savor an Ulriken Bun, a cinnamon pastry, at the mountaintop restaurant. This evening, dine ashore and mingle with the locals, as we will be spending the night in port. Day 15 — Bergen, Norway - Awake in Bergen, where you will be departing your ship. From here, you can easily spend a few extra days to further explore this city or discover other areas of Norway.